If you are in South Australia, visit the state capital, the city of Adelaide and swing by the interesting area of Mawson Lakes, situated 12 kilometres north of its centre. Tourists hoping for fun in Adelaide will be enamoured by its many attractions, including the Victoria Square, Government House and Rundle Mall. Calling in to Caffe Primo Mawson Lakes is an excellent way to jumpstart your day in Mawson Lakes. Just follow the scent of roasting coffee beans! Once the caffeine fades and your belly starts craving something more substantial, take a look at the menu at Mawson Lakes Hotel & Function Centre. This well-patronised eatery dishes up some seriously delicious meals. And of course, you haven't fully experienced Mawson Lakes until you've said hello to the locals at the neighbourhood watering hole. Here, Cross Keys Hotel is where you'll want to go. 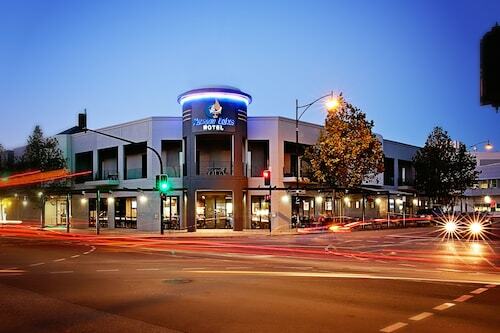 Can't find the best Mawson Lakes hotel deal? It is worth thinking about the hotel options in the Pooraka hotels guide and the Wotif Gepps Cross hotels guide. From hotels in Mawson Lakes to flights, car hire and activities, Wotif is right beside you, every step of the way. How Much is a Hotel Room in Mawson Lakes? 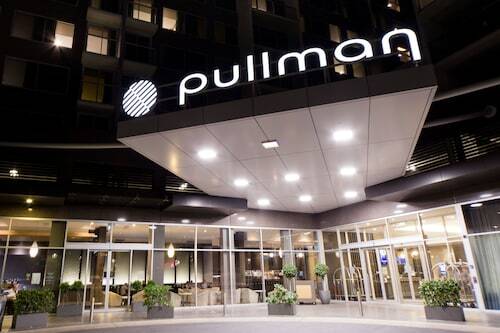 Hotels in Mawson Lakes start at AU$75 per night. Prices and availability subject to change. Additional terms may apply.